Would you not like to go to work every morning to your garden office which you had set up at the summerhouse in your own garden? Whether you already have a summerhouse or a garden shed that could be converted into a garden office or you plan to buy a new garden office: Overall costs and requirements are pretty much the same because rededicating existing space will have to count as a loss of space, and, by the way, there are some good reasons why shedworking, as it is known by most, has become the newest bang-on-trend for office space. London’s V&A had an exhibition for National Shed Week, BBC Radio 2 has made a broadcast about it and a new coffee-table book jumped on the train with a book titled “Shedworking”. Not only brings a garden office a new, trendy and healthier feel to your daily work, it also can improve your work-life balance, respectively make us understand that really work and life should be the same as opposed to being percieved as different or even opposite experiences. It’s just psychologically a much better start to the day taking a walk through the garden to work compared with fighting through the traffic congestions. Now what’s really to shedworking, and could this be something for you? 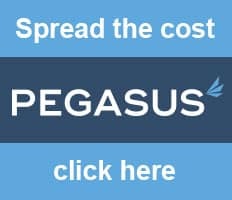 We will answer some of your questions in the following article. Garden office vs. office in the workplace – Which, do you think wins the competition? 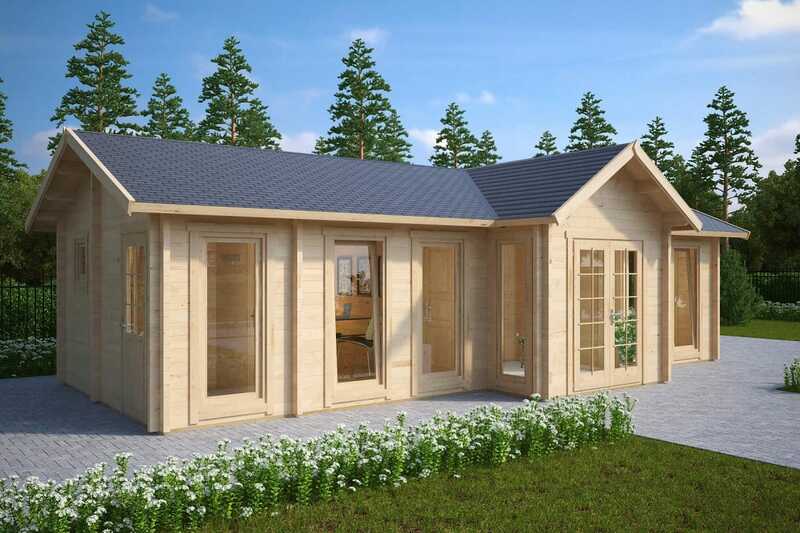 If you already have a summerhouse in your garden, you are aware how quick you could be at work every morning in your very own garden office, and if you go to work every morning, you also know about how stressful and time-consuming the journey through the congested traffic is. So it is probably clear, which alternative is more desirable in this area. As technology improves, many are able to really get a big workload done with a laptop and a WiFi connected broadband connection. Given the time saving and the boost in motivation, your superior at work might be open to suggestions aiming at doing at least a part of the work in your own garden office. Also many jobs allow for working from home – at least partially – where you are in a more relaxed atmosphere and can chop the work up in convenient pieces over the weekend. For all those homeworkers who already work from home, setting up their own garden office is often connected with some big advantages compared to working in the main house. Apart from the question of where to find the space for all the requirements one even more important question is: where to find the necessary concentration and the seclusion needed for constructive work. A garden office in the summerhouse helps you to get rid of the two biggest enemies of creative work: noise and distraction. So in this regard a garden office also beats an office with lots of colleagues somewhere in town. Be it the postman at the door or a delivery man, spouses, children, pets at the house or colleagues or your boss at work: Everybody has legitimate concerns, but your garden office could be your very own realm. Summerhouses with terraces can be used to receive business partners, garden offices can be fully insulated to use full time during the year. If you want to integrate a toilet, the drainage pipe might probably go to the toilet in the house. With proper insulation, heating as well as air-conditioning becomes possible. Electrical, water as well as a telephone line can be extended from the main house. As to interior design you are free to shape it in a way that makes the most sense to you and your business. You can customize and personalise your working environment tailor-made to your needs and visions. So any compromises over colours, textures, design and style that you had to make in the main house are literally out of the window here. Basically there are two options: You could convert an existing summerhouse into a garden office or you could invest in a new one. If you would use an existing garden shed, then the amount of work depends on how this one is already fitted. So insulation, heating and air-con would be already there or you would have to fit it in. The same is true for electricity and water, if you think water to be essential. Wifi from the house can be extended with the help of a simple wifi extender that connects to your existing wifi network and extends the signal. So you would just plug the extender into the mains at a location closest to the garden office, so that the signal is extended into the right direction. Wifi extenders have relatively short ranges of around 30m and you might repeat the extension f.e. with an additional extender in the garden office, if your garden office is further away from the house. On the other hand, if you already have a highly functional summerhouse in your garden, chances are that you will use it in one way or another. In this constellation gaining the space for the garden office will mean losing the space for whatever it was before. So in many cases it would probably recommendable to build a new garden office. Good for you that we have already designed quite a number of garden offices with different sizes and designs for you to order directly. The first steps of building a garden office are of course the same as building any other garden building. Your new garden office has to be at least 5m away from your house and it must not take away more than 50% of your garden. If its average height is over 2.5m you will also need a planning permission. Anyway, after your choice for the new garden office with the most important details is made, it’s probably worth talking to your planning authority just to be sure – if it turns out that you will need a planning permission it will probably be done in 6 – 8 weeks. It is possible to purchase garden offices which are specifically designed to side step this requirement, but when it comes to protection against moisture from the ground and anchoring against strong winds, nothing beats a proper foundation with deep parts for the anchoring and flat parts for the water protection. As any other wooden garden building, a garden office will gain durability and life expectancy from resting on a slightly elevated foundation to protect against surface – and spray water, too. If you ordered a prefabricated garden office, you can do the erection yourself or – if DIY is not your thing – also order a local firm to do it. Often times the manufacturers offer packages where the erection is part of the package. The same options apply for all the interior facilities. Make it a place where you love to be, so that your work is influenced by “good vibrations”! Of course one big factor is, how much work are you willing and able to invest yourself. Suitable wooden buildings, be it summerhouse style, maybe even hexagonal or octagonal, with terrace or without or specifically designed as a garden office come at prices between approximately £3,000. – £6,000. For the foundation you might spend between £200.- to £2000.- depending on the size, type and how much you can do in DIY-mode. Fittings, insulation, heating, essentials like electrical wiring, and so forth, furniture also of course largely depends on your choices. Probably a range between £1000.- to several thousand pounds would apply. You may think this is a lot of money for your business so the decision hinges on how long-term you think and what the alternatives are. Renting an office or workshop space somewhere plus costs of commuting will in a matter of just a few years get you to amounts that exceed the investment for the garden office. On the other hand, a good garden office can easily add up to 5% to the value of your property and is a clear advantage, when it comes to unique selling points on the property market. Finally: What will the new garden office do to you, your productivity, your creativity, your independence, your health and the reputation of your business? It’s yours to decide.